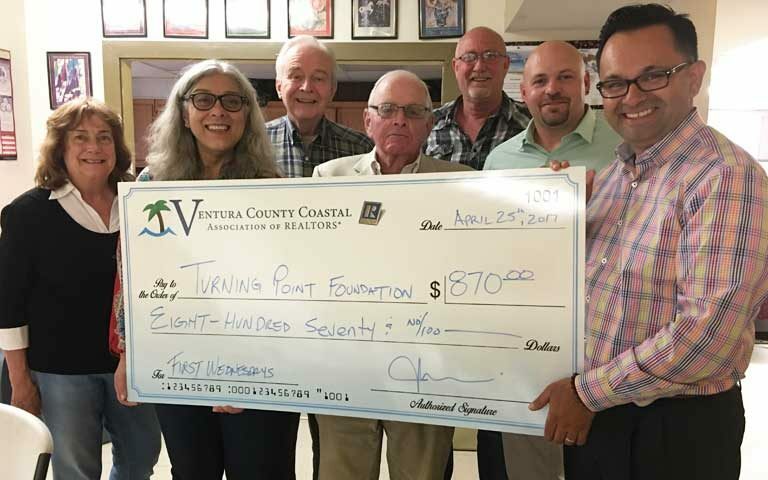 Turning Point Foundation is a local non-profit deeply committed to building a healthier community by offering compassionate and proactive treatment for adults struggling with mental illness, many of them homeless and/or veterans. Mental illness can touch anyone, regardless of their race, culture, income, age, or level of education. It affects one in four adults and one in ten children each year. Established In 1988 Turning Point began with a single clubhouse. Today, with the continued support from people like you, we have grown to 14 programs across 11 locations throughout Ventura County. We serve more than 1000 clients each year through its shelter, supported housing and rehabilitation programs. Your donation insures funding for Turning Point Foundation to continue providing an umbrella of services around mental health to the most vulnerable in our community. We are truly grateful for your support! Check out our video with client testimonials.